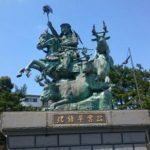 This week, Japan’s attempt to assimilate Taiwan finds some success, and one big stumbling block: the Musha Incident, the last and largest rebellion against Japanese rule on the island. Plus, the beginnings of Taiwan’s mobilization for war. Ching, Leo. T.S. 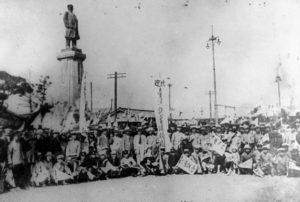 Becoming “Japanese”: Colonial Taiwan and the Politics of Identity Formation. Rubinstein, Murray A. Taiwan: A New History. Barclay, Paul D. Outcasts of Empire: Japan’s Rule on Taiwan’s “Savage Border,” 1874-1945. 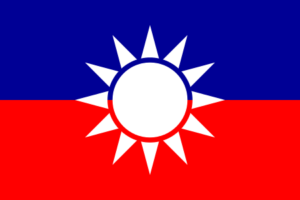 The flag of Chiang Wei-shui’s Taiwanese People’s Party. 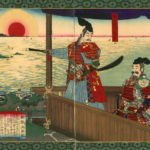 The similarities to the flag of the mainland’s Guomindang — the blue and red background, the white sun — were intentional, and likely were a factor in Japanese reluctance to cave into demands from a party that wanted to align itself with Chinese nationalism. Taiwanese intellectuals in Tokyo petition for the right for a democratically elected assembly in 1924. 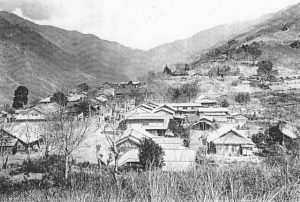 Musha village, Ren’ai Township, Taiwan — the location of the Musha Incident. 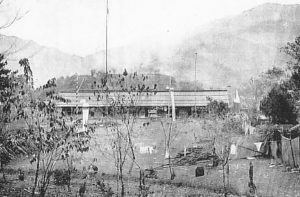 Musha Primary School, where Seediq warriors attacked Japanese colonists. 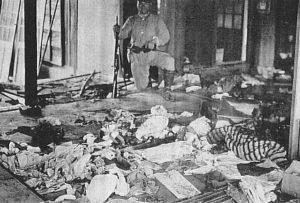 A Japanese soldier captures an image of the aftermath of the attack on the Musha Primary School. 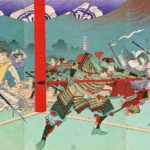 It wasn’t just Japanese soldiers who fought the Seediqs during the Musha incident. 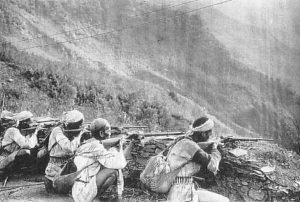 The Japanese mobilized other aboriginals with grudges against the Seediq, like these men, to help put the insurrection down. 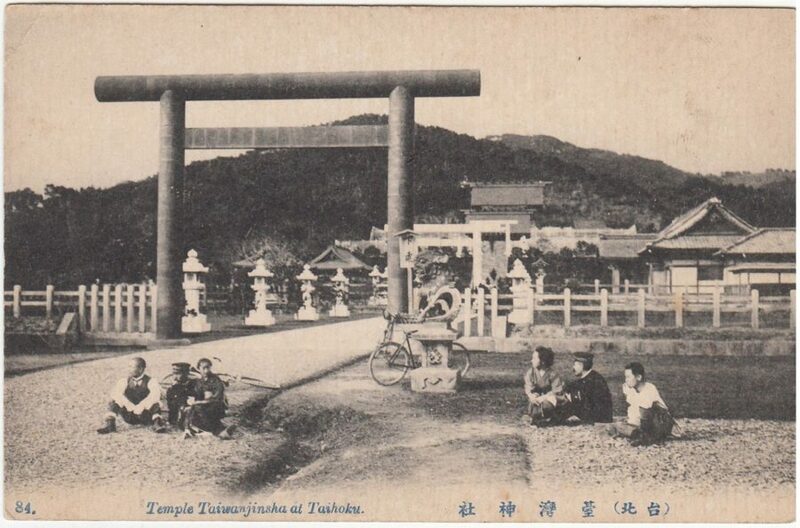 Taiwan Grand Shrine in Taibei, the largest Shinto shrine set up by the Japanese. 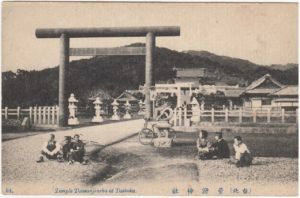 This image was taken prior to the shrine’s destruction in WWII. 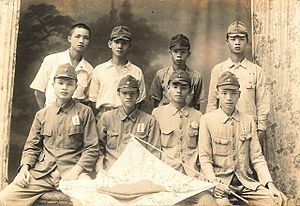 Taiwanese volunteers (though many were pressured to join) in the Imperial Army during the Pacific War. Sediq is pronounced something like suh-uh-JIK (rhymes with “the kick”), not seh-DEEK.